Mogadishu (HAN) 12th March, 2014. Today In Mogadishu, 3 officers from the Army of Federal Government of Somalia, were shot in the capital, Mogadishu. 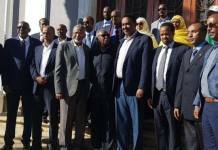 The Somali military Court, has threatened to continue its targeted killings against the government soldiers if they kill civilians, where ever the Somali government controls. “Their families wiped out generations and they ruined lives forever,” Gen.Dahir Aden Elmi (Indhaqarsho), the commander of Somalia Armed Forces told the National Security Correspondence of HAN & Geeska Afrika Online in Mogadishu Somalia. These 3 soldiers, were accused of killing a variety of committed crimes in the Somali capital of Mogadishu. Mogadishu residence watched the shooting which took place in public in the police academy in Mogadishu. These Sodiers shot today, two of them were part of the military government, while a third soldier belonged to the army council of the capital. 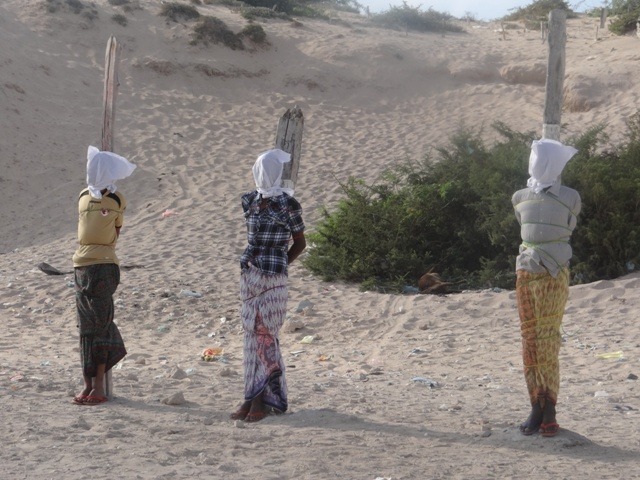 These killings marked the worst case of civilian deaths blamed on a rogue Somali soldier since the Al-Shabab terror War and further eroded strained Somali government and Mogadishu civilian relations after more than a decade of conflict in Mogadishu, Somalia.